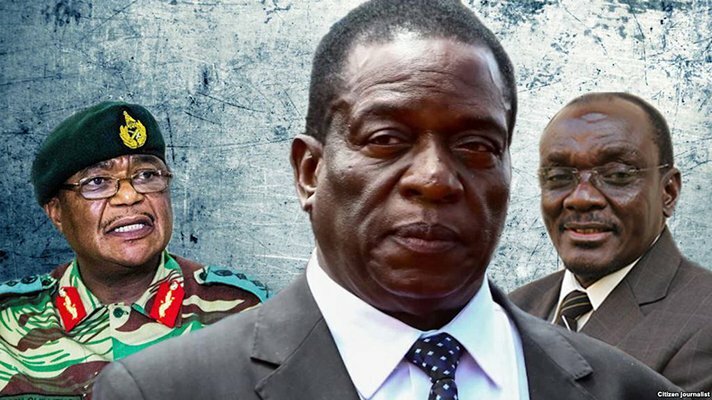 When the Robert Gabriel Mugabe regime was toppled in a military coup in November 2017, most people believed that his successor’s much touted ‘new dispensation’ would do away with excuses for the government’s failures in running the country. Although, others – such as myself – had always been skeptical about just how ‘new’ this so-called ‘new dispensation’ would be, the tone in which the Emmerson Dambudzo Mnangagwa regime brought in was one of ‘hitting the ground running’ in reviving the economy. Indeed, the Mnangagwa regime appeared to have let go of proffering excuses for the country’s dismal performance – rather choosing to use encouraging and inspiring mantras as, ‘Zimbabwe is open for business’. This was a far cry from Mugabe’s monotonous and unbelievable rhetoric of ‘sanctions imposed by Britain and her allies’ being responsible for the sorry mess we were in. Mnangagwa, indeed, seemed to ‘hit the ground running’ by attending the Davos World Economic Forum, officiating at several ground-breaking ceremonies for projects being unveiled in Zimbabwe, and meeting numerous business delegations – both within and outside the country. As much as I had been skeptical of just how different Mnangagwa would be to Mugabe – as he had been the ousted president’s right-hand man for ages, without seemingly being opposed to the nonagenarian’s crooked, callous and corrupt policies – I decided to, at least, give the man the benefit of the doubt. People do change, you know! How could I not – seeing that the political landscape had become relatively peaceful and more democratic – and I genuinely hoped for more positive developments, especially on the economic front. That was until 1 August 2018, when after the violent post-election protests in Harare, all hell broke loose with the fatal shooting of at least six innocent unarmed people. Ever since that day, all that we had hoped for was dashed. The sense of political harmony that we had wtinessed developing after November 2017 suddenly wilted away – replaced by the vile polarization that we had become accustomed to since 1999, when the opposition MDC was formed. Hot on the heels of this political crumbling also came an economic meltdown unseen in this country since 2009. Cash and foreign currency shortages intensified, fuel went dry, prices of basic commodities tripled or even quadrupled. The government introduced a 2% electronic transaction tax, followed by the Transitional Stabilisation Program (TSP) – supposedly to bring the economy back on track – and a massive 150% fuel increase in January this year. Without being a so-called ‘prophet of doom’, I will not hasten to predict what will be the exact outcome of these government interventions – but, there is one ‘new’ development that leaves me more worried than optimistic. The Mnangagwa regime has reverted to the use of sanctions as an excuse for the economic malaise that we find ourselves in. After a relatively ‘excuses-free’ period from the November 2017 coup, the re-emergence of the ‘sanctions’ rhetoric does not auger well in fostering confidence – as this had been the favoured myth of the Mugabe era, especially at the height of the country’s worst economic slump in the mid-2000s. The fact that the Mnangagwa regime has decided to take this sanctions tamplet out of the drawers, gives the impression that there is no hope for the economy – as those in authority have no clue on how to rectify the problems bedeviling the nation. That is exactly what Mugabe resorted to. Otherwise, if the government was confident in the resurgence of the country’s economic fortunes, they would spend most of their time explaining what they were doing to address the situation, what we are to expect, and in what time frames. That is more than worrying. Let me put it on record that I am not, by any stretch of the imagination, denying the existence of sanctions imposed on Zimbabwe, neither will I even attempt to trivialise them. However, what I know for a fact is that, no matter what sanctions are imposed on a country, these are not, and can never be, an excuse for the economy’s non-performance, or even its meltdown. There have been numerous countries on this planet who had sanctions of different magnitudes imposed on them – and their governments’ response to them, showed how capable and competent they were. Sanctions on their own can never cripple an economy. The best example of a country that has withstood – and even prospered in the face of – some of the gravest sanctions ever imposed on any country, is the Islamic Republic of Iran. Ever since their February 1979 Islamic Revolution – and the subsequent invasion of the United States of America embassy in the capital Tehran – Iran has been in the cross-hairs of the USA. Soon after the revolution, Iran was attacked by the then US-backed Iraq led by Sadaam Hussein, in an 8 year war that wrecked havoc on the Islamic Republic’s already fragile economy. Then came years of the most serious economic sanctions ever imposed on any country, after Iran was accused of developing nuclear weapons – that ended in 2015 after the signing of the Joint Comprehensive Plan of Action (JCPOA) with the P5+1 group of countries. However, this honeymoon was not to last long, as in May 2018, the Donald Trump-led USA re-imposed the sanctions – accusing the country of non-compliance with the JCPOA. It is widely believed that – just as the previous batch of sanctions – these are the most severe ever imposed on a country. These include restrictions on: 50 banks and their subsidiaries; the national airline; 200 members of the shipping industry and vessels; Iranian oil – with only 8 countries exempt, as they agreed to reduce imports dramatically; and atomic energy. With such a history of severe sanctions, would it not be justified for the Islamic Republic of Iran to be undergoing the worst economic meltdown of any country on the planet? Would it not make sense if the people of that country were the poorest in the world? Would it not be justifiable if the government always blamed the ‘US and her allies’ for it’s dismal performance? Yet, the answer is a resounding NO! In spite of all that Iran has gone through – and is currently going through – the International Monetary Fund (IMF) ranks its economy 29th in the world (in norminal terms), and 18th (in ppp terms) for 2018. In fact, Iran performs better than such countries as Malaysia, Singapore, Hong Kong, Israel, South Africa, United Arab Emirates, Denmark, and many others that one might expect to do better. Therefore, the Islamic Republic of Iran has put to rest the myth that sanctions can be responsible for a country’s economic non-performance, and even downfall. The sanctions excuse is just that…an excuse – and nothing else. Iran has shown us that, no matter what gravity of sanctions are imposed on a country, it can still prosper. As an addition, this country is not new to sanctions, as Rhodesia had punitive measures imposed on it by the United Nations (UN) after the 11 November 1965 Unilateral Declaration of Independence (UDI) – but, it did not resort to excuses. The Rhodesians looked inside itself, instead of outside, and came up with ingenious means of survival – such that, despite a raging liberation war simultaneously being waged, the country’s economy was performing rather well. So, if sanctions are not the real cause of economic problems affecting Zimbabwe, what are? Let us go back to the Iran scenario. According to the 2018 Transparency International corruption perception index, Iran ranks 28 out of 100 countries. We are 160 out of 175! Zimbabwe is one of the most corrupt countries in the world – and that is the main reason we are in this economic mess. Admittedly, there are other factors, such as incompetence, skewed economic policies, extravagance on the part of government, and political instability – but, above all these is CORRUPTION. Therefore, instead of the Mnangagwa regime seeking for foreign induced causes for our suffering, they would be better advised to look themselves in the mirror, instead. They have to seriously tackle the rampant corruption in this country, drastically reduce their lust for spending, resolve the political standoff, and implement the constitution to the letter. This is the same message that should also go to regional and continental bodies – the Southern Africa Development Community (SADC) and African Union (AU) – instead, of merely parroting the government narrative, they should push for the Zimbabwe authorities to look at themselves first. The answers to our economic and political problems lie squarely between the Zambezi and the Limpopo – and no where else. Unless, and until we all appreciate this fact – and stop finding others to blame – this country will continue on its freefall.